KAMPALA– The Uganda National Teachers’ Union (UNATU) has asked the government to replace the teachers who died as soon as possible. The new recruits will are to fill the gap in the number of teachers overall. 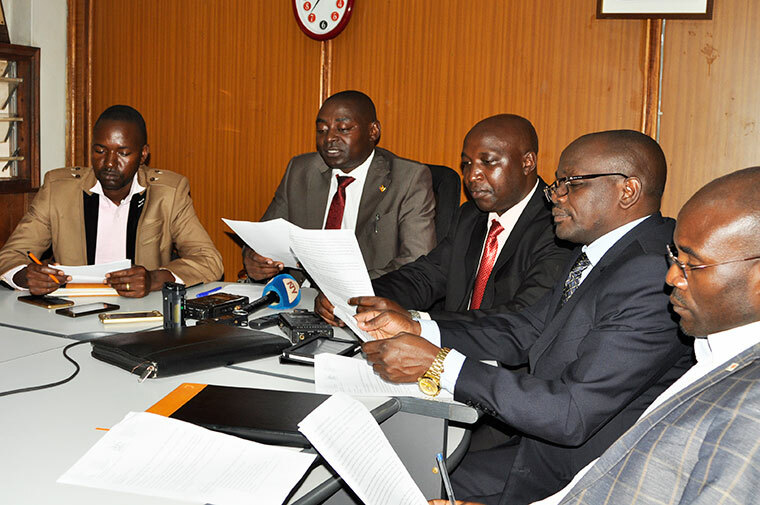 Addressing a press conference on Thursday at Teachers’ house; the General Secretary, Filbert Baguma said according to the recent survey–over 380 teachers have died since January 2018 to date. “If the teachers are not replaced it simply means that there is a class which is not being attended to. Is the Education service commission and district service commissions need more support to do their job,’’ he wondered. Baguma added that although funds to recruit 3300 is available in the Education Sector budget for FY 2018/19, the progress of recruitment is very slow yet this is the second quarter. President Yoweri Museveni is expected to officiate the function. Baguma also said that there is high a pupil-teacher ratio in the primary section. “In Nebbi district for example, primary one has 300 pupils with only one teacher according to UNATU field visits in August,’’ he said. Meanwhile, officials’ from UNATU have said that some teachers in over sixty districts have not yet received salaries for July, August and September. Some of the affected districts include Moroto, Nakapiripiriti, Kakumiro, Kotido, Bukedea, Naminsindwa, Fort Portal, Kasese and Kabale among others. However, some teachers said they have received their salaries for the last three months although they are still demanding for arrears for last year. The Chief Administrative Officer of Kasese district, Hanny Turyahebwe said he has not received any complaint from any teacher saying that they paid all teachers.